Macquarie Natual Therapies - reflexology, meditation, Feldenkrais and baby massage treatments. Bowen Therapy is a soft tissue therapy emphasising on releasing tension in the Central Nervous System by manipulating fascial tissue, fascia meaning “band” or “bandage”, that houses the structures of the body from under the skin down to the marrow of the bones. Once the fascia is released the body returns to balance resulting in freedom of movement and pain reduction. This is a wonderful form of bodywork for wherever your body is holding an old pattern of restriction and pain. 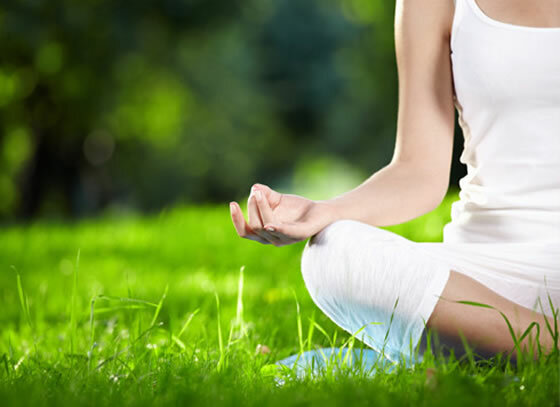 If you think you have a busy life or have trouble sleeping, suffer from muscle tension, or just feel like you need some quiet time, then come along and join us for our relaxation and meditation classes. Meditation allows us to enter a state of peace, calming and relaxing our body and mind. It lowers our stress levels, slows our heart rate and breathing, improves immune function, relieves anxiety and depression and aids in the healing process, and with pain relief. Sessions are 1.5 hrs long and run over a 4 week period. Each week will focus on a different relaxation and meditation technique allowing participants the opportunity to discover the style that feels right for them. The cost is $60 for the 4 sessions and are held here at the centre. Please contact us for any questions you may have, or to put your name down for a class. The Feldenkrais Method teaches movement, posture and breathing in order to improve a client’s self-awareness, decrease their pain or limitations in movement and promote optimal well-being. During a Feldenkrais Method session, certain ‘holding patterns’ that cause pain or dysfunction will be identified, and the client will then learn new ways of moving and consequently of living. These holding may be caused by physical injury or by emotional or psychological issues. The Feldenkrais Method uses gentle movement , specific touch, and directed attention in order to access the nervous system’s own innate processes to change and refine functioning. This allows increased ease and range of motion, improved flexibility, coordination, posture and a re-discovery of efficient, fluid movement. Wudang Five Animals Qigong is an ancient Taoist exercise designed to improve one’s health and longevity. The movements of this routine are based on the movements of five animals; the dragon, the tiger, the leopard, the snake, and the crane. Each animal movement improves the function of a specific internal organ. Through dedicated practice, Five Animals Qigong has the ability to bring balance back to one’s internal organ system. When the internal organs are in balance, the body is able to work at its optimum efficiency, thus improving the overall health and longevity of the practitioner. Wudang Five Animals Qigong also opens up the joints, lengthens the tendons, and strengthens the muscles. Furthermore, this ancient exercise improves the functions of the respiratory and circulatory systems as well; this not only allows the body to deliver fresh, oxygen-rich blood to all the extremities of the body but it is also assists with the elimination of deadly toxins. The overall function of Wudang Five Animals Qigong is to the body soft and supple, like that of a child. Cost: $90 for 6 week term.